Renew Adelaide is continuing it’s campaign to bring new life to our city streets. We last covered the Renew Adelaide project with The Flourish Project and the SA Government are moving forward with their revitalisation of Hutt St with two brand new tenants in the old NAB site on 134 Hutt St. This site has been nicknamed the Vault for the bank vault the is nestled inside. Another unused building had been giving new life with this project. These new additions to the Adelaide market showcase the diversity that Renew Adelaide is trying to showcase in our city. At 134 Hutt St two very different and unique business look to make their mark. On one hand you have Expressions Media. Expressions is a copywriting, publicity and learning centre that aims to assist other small businesses in not only promoting their brand but educating on how to better manage through learning resources and workshops. Director Libby Parker (B.Ed, Grad Dip Journalism) has been running Expressions since 2013. Alongside Expressions she is also running news site, The Upside News, and working with Amy Who Digital. With all of these business at their fingertips, Expressions Media aims to be the one stop shop for all things SMB promotion. Just upstairs from Expression a whole different world awaits. House of Spaghetti is a film industry hub that aims to build the same community and free space which has been well established with Hub Adelaide on Peel St. Bringing in directors, animators, actors and producers, House of Spaghetti aims to be the birthplace of brand new creations and collaborations to utilise Adelaide’s growing film market. 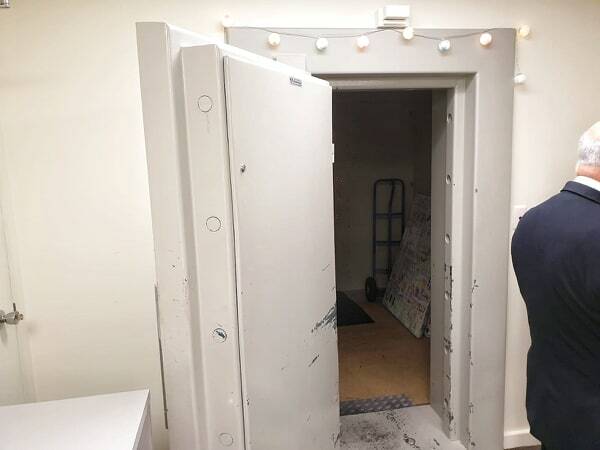 Several open spaces and offices are available for hire for those looking to make use of resources the Vault has to offer. The founders of House of Spaghetti coined their name from their film which won the Audience Award at the 48 Hour Film Project in 2018. Expression Media and House of Spaghetti are two distinct businesses yet could work especially well together if these are the resources you need. Either way if you need publicity or film production Hutt Street has you covered.